Having trouble viewing this email? Read it in your web browser. cleartarn produces websites and a whole lot more!. Welcome! This is cleartarn's first newsletter. We are a local web development company where service and results really do matter. Try following us on Twitter, Facebook or YouTube or sign up to our newsletter and we hope you will be able to pick up some tips and helpful information to improve your web presence. You won't get useless information or third party advertising from us - just help! 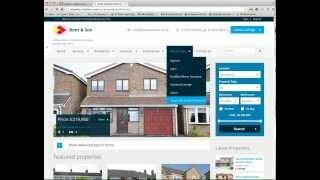 So what's different about cleartarn web sites? The sites we produce are designed to allow users to easily modify the page content and are coded to be compatible with the greatest number of browsers. The result? cleartarn sites really do work from a search engine (SEO) perspective and are designed to bring more customers. We believe that a website is a vehicle to bring you more business - not just an online brochure. These things make a real difference to your website and the ability of search engines to index your website content. So how does your website stand up? You can take a look at your own site metatags and validate the code following the simple instructions in the links below. We think you will be disappointed with your own site's hidden features - most sites rate poorly on these simple tests and any hidden spelling mistakes do even more damage to your business. If you would like us to do this analysis for you, just let us know, we will provide the information free of charge. cleartarn websites are different and we will implement the features that you need to drive new customers to your site! Remember, these tests are just the start of things. You may not feel that your business should use social media, but even the most traditional business to business products and services organisations can gain real competitive advantage whilst minimising the risks of the damage that social media can produce. Talk to us and we will help you develop and implement a strategy appropriate to your business. You may not be ready to renew your website just yet, but if you click on the links above and follow us on Twitter, Facebook or YouTube or sign up to our newsletter and we will give you lots of interesting ideas which might be useful for your business. You can also see the full range of services we offer by visiting the cleartarn website and see a demonstration content managed site containing many of the standard modules which can be added to a website on the cleartarn demonstration website. Search Engine Optimisation is a series of tasks some of which only need to be done once through to an ongoing series of activities to position and maintain a brand.